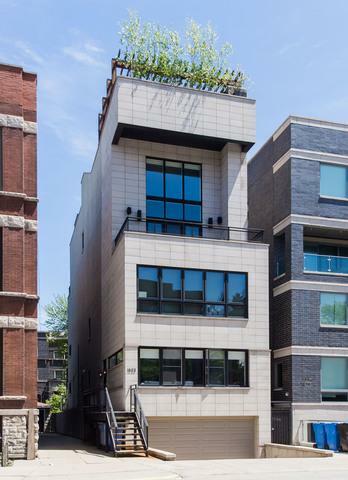 Rare duplex-up penthouse in Lincoln Park w/ a custom rooftop oasis and PRIVATE ELEVATOR from the attached garage to both floors of the home! 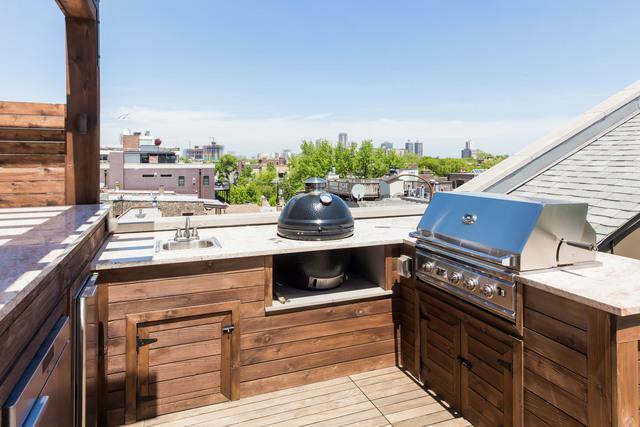 The beautifully roof deck has stunning skyline views & features a living area w/ TV & a built-in outdoor kitchen w/ separate gas & ceramic grills, ice maker & fridge. 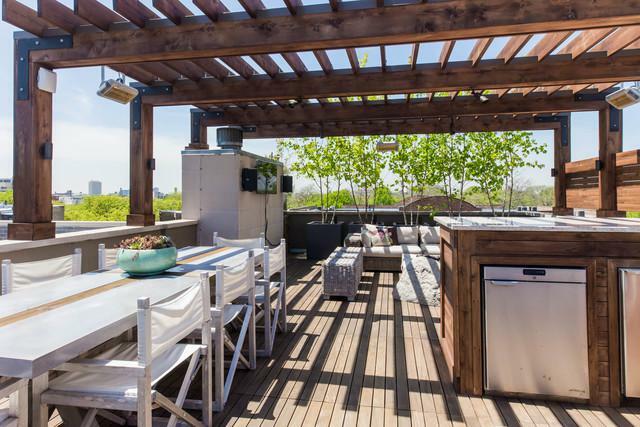 The IPE deck w/ pergola is surrounded by built-in planters w/ perennial garden & a comfy day bed. 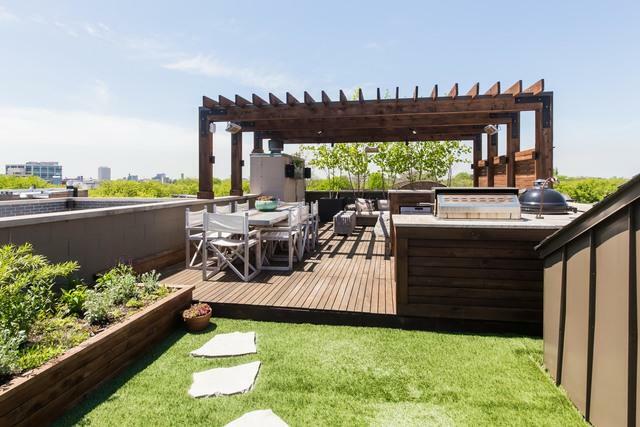 This stunning home is a fully customized 3-bed/2 1/2-bath condo designed w/ the finest luxury finishes. It is highlighted by a sprawling 20-foot vaulted ceiling & a 2-story west-facing wall of windows. The deluxe chef's kitchen features designer flat-panel cabinets, quartzite counters, 48" Wolf Range & Sub-Zero & Bosch stainless-steel appliances. The master suite features a large walk-in closet, deck & bath w/ double bowl sinks, separate rain/steam shower & air-jet tub. Large family room on 2nd level. Interior modern-style floating staircases. Wood burning fireplace. See the virtual tour!